Students prepare for the D.C. Trek, a faculty led exploration of the Washington D.C. financial markets. Students arrive at the Williamsburg AMTRAK station. Ready to head out for the Trek! MAcc students will have the opportunity to meet with National and International experts from the accounting profession. James Drury asks the PCAOB about their inspection process. Student Albarou Sabi asks a question while visiting the Public Company Accounting Oversight Board (PCAOB). Students pass through security at the Securities & Exchange Commission (SEC). Students learned more about the challenges of securities regulation, and the activities of the division enforcement. New developments with block chain and bitcoin were discussed at the SEC. Cynthia Kekeocha discusses international financial markets regulation with Robert Fisher of the US Securities and Exchange Commission. A taxing problem hearing about tax reform from Senate Finance Committee staff. What's at the heart of the SEC? W&M MAcc students! Alum Doug Williams and KPMG colleagues present the new CECL model. At W&M's Washington Center preparing to meet with EY National Office partners about the new leasing standard. Alumnus R. Scott Bell discusses the financial condition of the U.S. Government. The Mason School's D.C. Trek opportunity often leads to long-term career advantages for MAcc students. FASB, GASB, and now SASB? Hearing about how companies report on sustainability. Who says accountants aren't fashionable? Doppelgangers? Mark Mahar, EY's National Office, and Mark Marzzioti, EY's new hire! 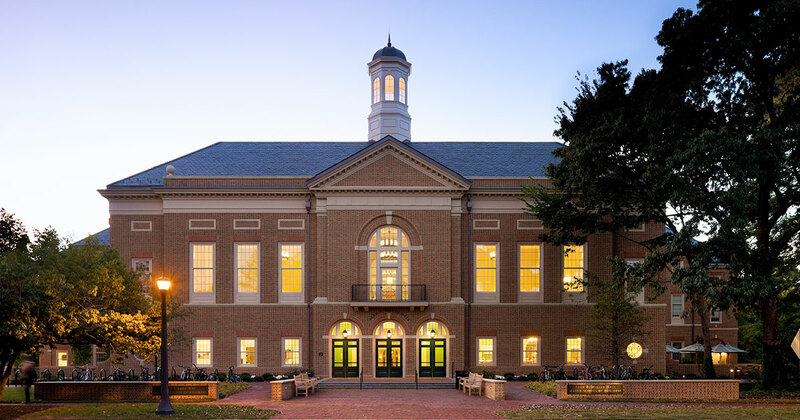 How can you benefit from a William & Mary Master of Accounting (MAcc) degree? At the Raymond A. Mason School of Business, students are discovering that that the program's experiential learning opportunities are leading to long-term career advantages. The D.C. Trek, a faculty-led exploration of the Washington D.C. financial markets, invites students to meet with national and international experts, and immerse themselves into the “hot” topics in the accounting profession. This year’s Trek, held October 18 – 20, was led by Kimberly Smith, Chancellor Professor of Business, who describes the trip as a one-of-a-kind experience that brings the curriculum to life. “Visiting these organizations in person, and meeting such high-level professionals, provides our MAcc students with a unique perspective, one that allows them to stand out from the crowd, and feel prepared to take on the most challenging projects,” said Smith. The group of sixty-four students began their journey with a visit to the Public Company Accounting Oversight Board (PCAOB), an organization that "audits the auditors," according to Smith. They met with senior members of the organization who shared insights into new auditing standards, investigation regulations, and enforcement procedures. "We were one of the first universities to bring students to the PCAOB," said Smith. At the U.S. Securities and Exchange Commission, the group was able to meet with a number of top professionals including a Commissioner. Students had the opportunity to learn more about enforcement, the impact of new technologies, and the challenges of securities regulation. Student Luoyi Chu appreciated the hands-on perspective. "It's amazing that we get to visit agencies like the PCAOB and the SEC, and get to talk to the people who work on the issues that we read about," said Chu. "Everything I learned in Professor Picconi's class about derivatives and hedging is valuable in the real world, and you will use it," said student Alunique Smith. The day also featured a panel discussion hosted by KPMG in their Washington D.C. office, and was led by several William & Mary alumni including Doug Williams, partner at KPMG. They introduced the group to a new accounting standard, "Current Expected Credit Losses" (CECL), that was implemented as a result of the 2008 financial crisis. Students and faculty were especially excited to learn how accounting firms such as KPMG use sophisticated analytical techniques to make the estimates required by these new standards. "We were at the center of the accounting world, interacting with some of the most influential people," said student Campbell Cooksey. "It was great exposure - and experience." On Friday, October 8, students gathered at William & Mary's Washington Center to hear from alumnus R. Scott Bell from the U.S. Treasury Department. He summarized the Financial Report of the United States Government, and answered questions from enthusiastic students. Learning opportunities did not stop for lunch. Instead, lunch was shared with a senior legislative tax attorney from the United States Senate Finance Committee who provided firsthand insight into the Senate's efforts to implement tax reform. The United States' budget had narrowly passed the day before, so students were thrilled with the real-world connection. "It was like being on the front lines of learning," said student Michael Kelly. Other distinguished experts included a member of the Sustainability Accounting Standards Board who discussed the importance of transparency in disclosing risks and opportunities related to ESG (Environmental, Social, and Governance) issues. For the final session, international experts from Ernst & Young's Office of Professional Practice offered a summary of the role they play in supporting their clients during the implementation of new accounting standards. For many, the experience had tangible benefits. For instance, students have already credited the Trek with job offers. “The Trek experience put us ahead of the competition," said MAcc student Albarou Sabi. "Because we are more knowledgeable about the trends in the industry, as well as the overall mechanism of the capital market,” said Sabi. "The D.C. Trek is a perfect example of what makes the William & Mary Master of Accounting program so special," said student Bella Kron. "You have the unique opportunity to engage with top thinkers and expand your understanding of relevant accounting issues. This is hands-on learning at its finest," she said. Jacob Headley is thankful for the opportunity, too. "I had a blast! I can't believe how much I learned in two days."